Wow! 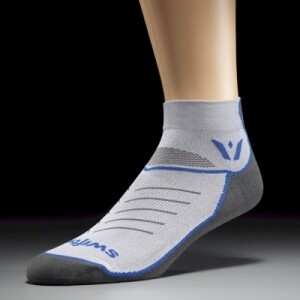 First and foremost, what a GREAT company SwiftWick is to work with. My initial contact couldn’t have gone easier. A whole pack of socks arrived; not only to be reviewed but to be used as a giveaway to members of the team. AHEM, I’m still looking for those community reviews for those that received some socks!! After picking up a new “dread“-mill, I put some of the calf length socks to the test along with some others. First impression is the sock felt lighter on then they did beforehand. The seemed like they had a bit of weight and density but once slipped on they were extremely tight. Not in a bad way, I mean tight as in the really held the calf region together well. I’ve been trying to use more of a mid to front foot strike in my running and with that I have had a ton more soreness below my calf in the soleus muscle. It not only hurt quite a bit during runs but afterward, for days, I would be in near agony. Ok, well not in agony but it sucked to walk let’s say that. Because of the compression in the Swiftwicks both the soreness while running and after was alleviated quite a bit. I would leave them on after runs, I even slept in them one night in hopes of being able to work the next day. Besides the fact I had just started getting back into running more per day and had changed my stride, I was pleasantly surprised at how I felt the next day. There was still some deep muscle soreness but overall, for once, my soleus did not feel destroyed and I was able to work a normal shift with minimal limp, haha! They also sent some ankle compression socks to test out and I wear them all the time. I am a stinky, sweaty foot kind of guy, so being able to wick away the moisture is awesome! My son who has inherited the same sweaty, stinkiness wore a pair one day on a run with me and commented on how dry his feet were afterward. That was after prerunning the F.I.T. Challenge course with lots of snow and wetness, yet our feet were surprisingly dry. The stink? Well, Swiftwick can’t perform miracles, can they? The wicking in both the ankle and calf socks are great is what I’m saying. One thing that always concerns me about wearing such a light sock is that they will slip around a bit in my shoes and cause blisters and such. This did not happen with these, my foot stayed put and were good to go! They were put to the test at our recent Unleashed training where we were jumping, running, climbing, etc. Again, there wasn’t any slippage and after 2 hours of a grueling workout and an hour of open gym my legs felt great. I haven’t had a ton of experience with compression gear, but have been told many times by those who use it that I needed to try it. A few weeks back I got a pair of blue marathon socks from Pro Compression in the mail and off we went. I’ve done research here and there on the benefits of compression gear, and for some out there the jury is still out. For many though they swear by it. Back in the day, compression products were mainly made for diabetics, or for those with poor circulation. Over the past few years though athletes from various sports have been using them for recovery and for better runs and performance, especially in the endurance field. I haven’t been running a ton lately, mainly because of the hill I live on and the fact the town refuses to do anything about snow/ ice removal. But, I did recently get a treadmill and have been crushing some miles on that. I’ve run with these on and did notice that soreness I normally felt in my shins was a lot lighter, if there at all. Having not run a ton, I wore these for a while after the run and noticed less soreness in the days after. Are either of these solid reasons that the socks work? Enough so that I have worn them religiously since then, on and after runs. Is that scientific? No, but who needs that nonsense when the proof is something experienced?! Am I right or am I right? At this point I have tried a few different compression socks, and have to say I enjoy the thickness of this sock. Some of the others felt light and sheer. That said, I am hoping they don’t get uber hot come summertime, but we shall see when we get there, it’s still arctic here in certain areas of New England. Did I tell you yet that these guys, Pro Compression, are the official compression gear company for the Ragnar Relay? Yeah that’s really cool! You got that race coming up and don’t have any compression gear to rock? Well, it’s your lucky day! 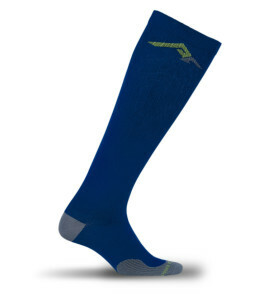 They are hooking us up here… Go to http://www.procompression.com/products and load up your cart. Use the code SPAHTENS at checkout and not only do you get free shipping but they are hooking you up with 40% off! Yeah, that’s friggin huge right? If you want other deals just scroll to the bottom of their homepage and sign up for the sock of the month club which offers a bunch of different deals. Make sure to follow them on Facebook and Twitter too, they always have cool stuff going on. I love these socks and now need to make an order for a couple other colors! !